1) I just finished the recent Sandy Denny biography. I was very disappointed by it. In the end, she dies. In the bio that I want to read, she’s now living in a cottage in Wales and drinking only on Thursdays. 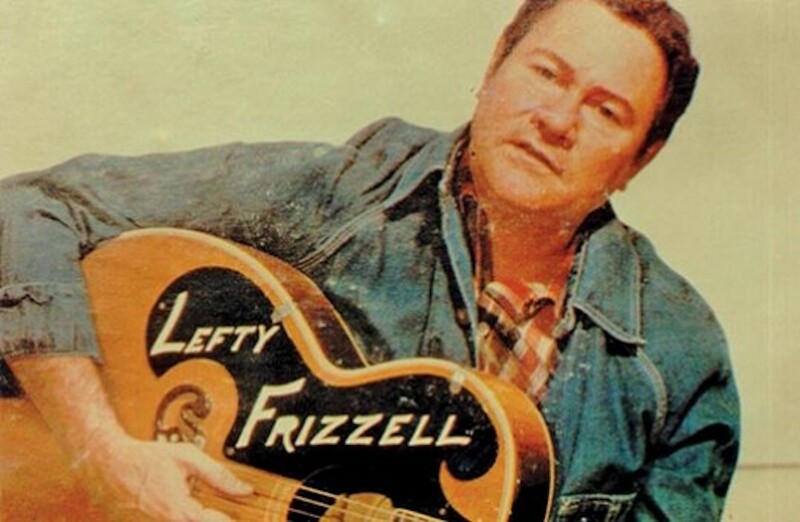 The other night, up late again listening to old records, I came across a song by the country singer Lefty Frizzell that, so far as I know, I had never heard before. It was the title that got my attention: “There’s No Food in This House.” I imagined Lefty, in his most vexed falsetto, leveling the words at a cheating lover who, in a final act of defiance, blows the week’s grocery money on a trip to the salon. He had other songs to this effect: “You’re Humbuggin’ Me,” “Always Late (With Your Kisses),” “Run ’Em Off,” “You Want Everything But Me.” Merle Haggard called Lefty “the most unique thing to ever happen to country music.” He was, among other things, a kind of hillbilly Falstaff, Nashville’s great minstrel of aggrieved accusations. Lefty was a leading figure in the country movement called honky-tonk, which adapted the genre—previously the province of barn dances, bandstands, and festivals—to the beer hall. 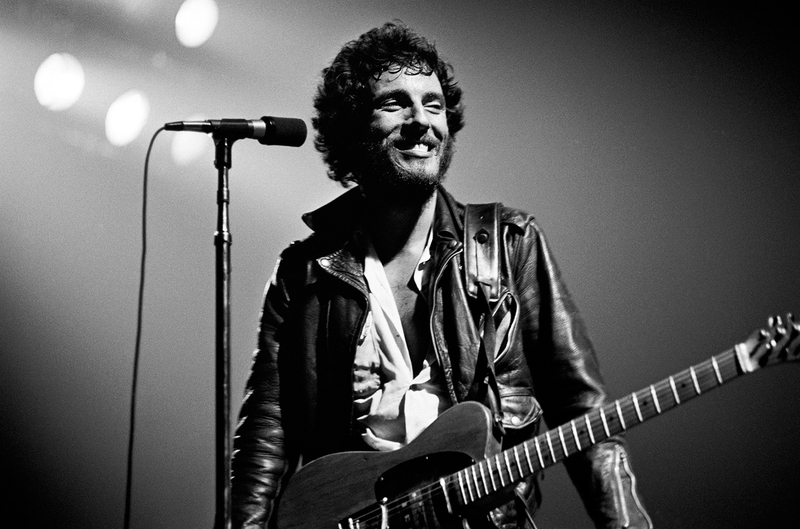 Rock ’n’ roll was an influence. Hollywood was too. Lefty’s publicity photos for Columbia Records in the early fifties channel black-and-white film stills. In a classic shot from 1951, he wears a fringed western shirt and a bandanna scarf, looking like Edward G. Robinson doing his best Davy Crockett. Not often does a film score stand out as a work of art independent of the movie it embellishes, but there are the rare exceptions. Everyone remembers the zither tune in The Third Man, Howard Shore’s ominous counterpoint clocks in After Hours, or Stanley Kubrick’s counterintuitive needle drops in 2001: A Space Odyssey. Other scores meet the film on a plane in which the photography and music cannot be disentangled: Ryuichi Sakamoto’s title cue for The Last Emperor; Jerry Goldsmith’s recurring, melancholy muted-trumpet line in Chinatown; Philip Glass’s winding synth fractals heard over a time-lapsed New York City in Koyaanisqatsi. 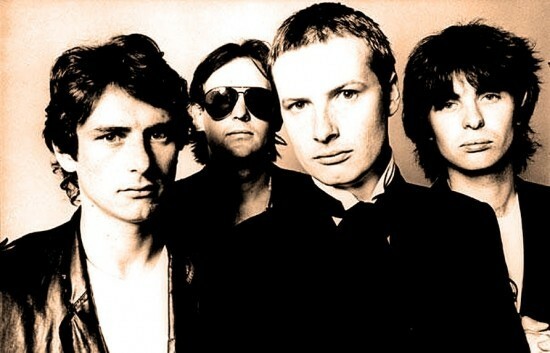 On Andy Partridge, punk, beauty, madness, and our secret sounds. 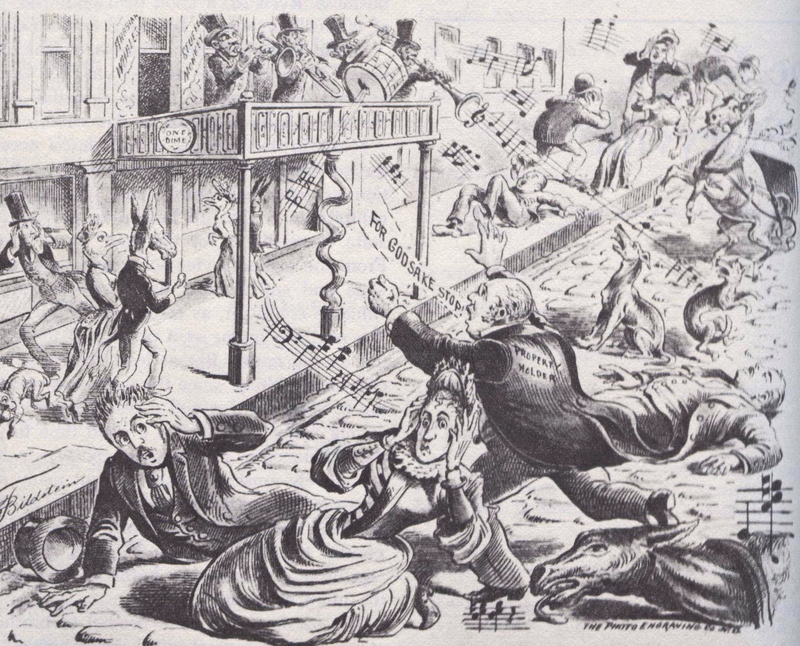 “Robinson’s Band Plays Anything,” F. Bildestein, 1890. From the cover of the New Orleans newspaper the Mascot (November 15, 1890). Musical forms have the life cycle of carnivorous beasts: clumsy in infancy, terrifying in adolescence, fearsome in maturity, fangless in old age, and pitiful in senescence, before the inevitable silent death. Their life spans tend to be longer than ours, so it can be difficult to recall that some of the more geriatric genres were once vital and fierce. But even Baroque music had a caddish streak—“a most dangerous reef,” in the words of a prominent seventeenth-century German rector, “along which many a young soul, as if called by Sirens … falls into dissoluteness”—and polka, in the 1840s, was a venal Bohemian menace (in 1844, the Illustrated London News wrote that polka “needs only to be seen once to be avoided forever!”). Jazz, now well advanced into its second century, had an especially violent youth. It was more than merely dangerous—it was homicidal. One year down, three to go. Season one of the Trump unreality show was a fire that wouldn’t stop burning, set against the apocalyptic backdrop of real California wildfires that consumed over a million acres in the fall. Huge tracts of psychic energy, funds of hope and goodwill, were consumed by the effort to make sense of what was happening to the nation, to respond meaningfully, and to maintain sanity. Millions ranted about the “arsonist in chief,” yelled at their televisions, at their laptops, yelled on Facebook and Twitter or at protests in the street. Some, it is true, retreated into permanent Cat Video Land. But almost everyone was looking for evidence of hope. Twelve years ago, New Orleans was still on its knees after Katrina. I remember January 2006 well. Four months after the disaster, vast sections of the city were still mud logged and disfigured; citizens were still being pulled—soaked, bloated, dead, stinking—out of shipwrecked houses. The failure of the federally funded and constructed levee system, the Bush administration’s bungled, ineffectual response, and, in the background, the ongoing disaster in Iraq made it feel as if the country were going off the rails.